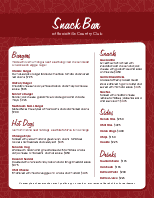 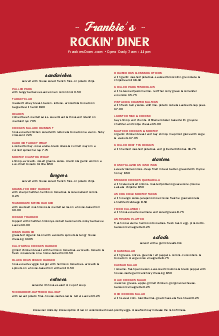 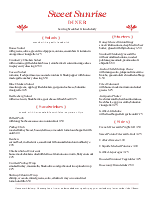 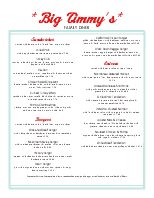 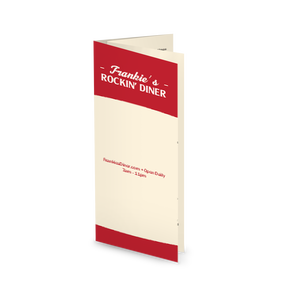 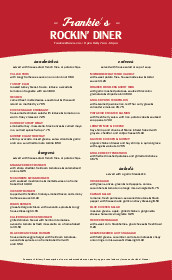 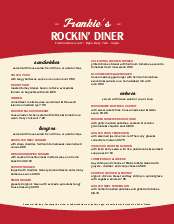 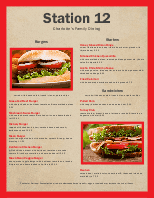 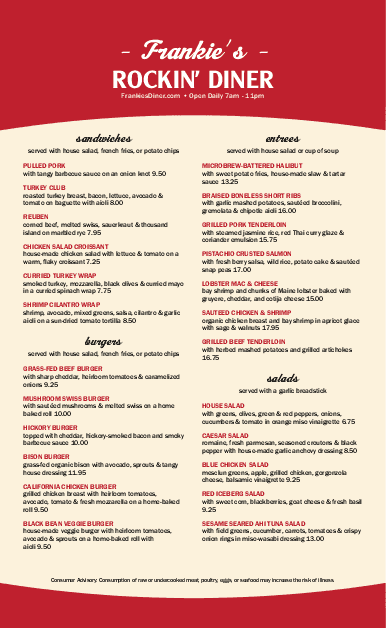 The local diner menu is designed in retro red and tan, with an eye-catching curved border at top and bottom. 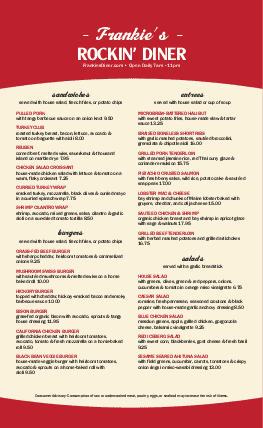 The legal-sized page (8.5 x 14) has a second page for long menus. 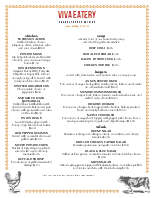 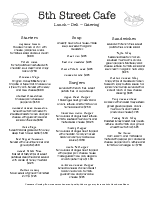 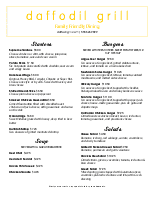 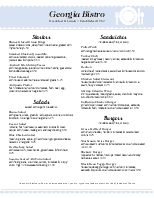 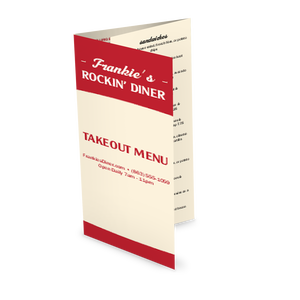 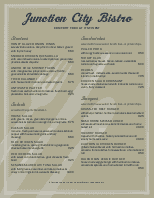 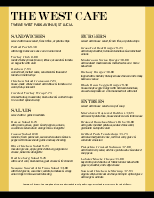 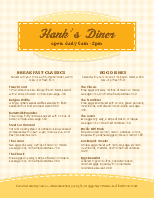 Use this design to create your own casual diner menu.